Prosser Public Library offers mobile Wi-Fi hotspots for checkout. Borrow a hotspot for up to 2 weeks to access the Internet on-the-go or in your own home, FREE from the library! The hotspot, which is roughly the size of a deck of cards, can easily be transported from place to place, so that wherever you go, you will have Internet access. When you check out a hotspot from the library, you will be asked to sign the Hotspot Lending Agreement. The hotspot can be used with up to 10 mobile devices at once, although the fewer number of devices connected, the faster the Internet service will be. The Internet service for the hotspot is provided by the Sprint network. View the Sprint network service map for coverage. No data is collected about the websites you visit, either by the library or Sprint. Sprint only collects the amount of data transmitted for billing purposes, but does not track individual sites visited. The hotspot is an easy-to-use device that allows you to connect your tablet, laptop, or other mobile device to the Internet wherever you are – at home, on a road trip, at the park, etc. What can you do with a hotspot? Internet service at home. The library’s hotspot can provide Internet access at home to fulfill your household’s needs like research for school projects and papers, job searching and online applications, streaming movies or other entertainment, and much more! Take it on a road trip. Connecting your mobile device to a hotspot during a long car ride enables you to stream music, movies, or other online content without the risk of incurring expensive data charges. Take it on vacation. Going somewhere with no Internet (or no free Internet)? 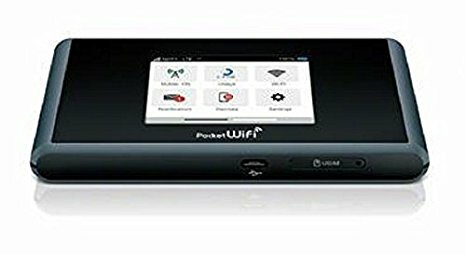 Take the hotspot with you to connect to the Internet and retain access to your favorite online sites and entertainment. Alternative to unsecured public networks.